Get an online quote instantly! Do you want to store your classic car? Maybe an extra car or summer car with nowhere to park it? North Coast Vehicle Storage has the solution with secured indoor storage! In many cases, parking your RV can be nothing short of a hassle; let North Coast Vehicle Storage simplify your RV storage needs. Whether it's your weekend toy or your passion, we have boat storage solutions large enough to store your boat, trailer and gear. Make room in your garage for those things you use every day... let us store your motorcycles, jet-skis, and ATV's seasonally or all year long with North Coast's great rates. Cleveland's Premier Indoor HEATED Vehicle Storage facility with over 100,000 square feet available. 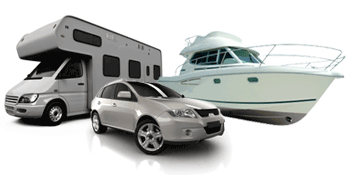 Cleveland Vehicle Storage will pick-up your trailered boat at NO extra cost within 5 miles of Edgewater Park. Please feel free to call for more details. Our Refer a Friend promotion is an easy way to earn credit off your next contract. So, start spreading the news. Tell your friends about all of our storage options and save money on your own storage needs. Each friend you refer that stores a vehicle with us, gives you a $50 credit on next year's bill.